SAN MATEO, Calif., Dec. 5, 2017 -- Marketo, Inc., the leading provider of engagement marketing software and solutions, today announced that it has appointed Jill Rowley as chief growth advisor to evangelize on behalf of the Marketing Nation and expand the company's digital sales transformation. Rowley, a social selling evangelist, keynote speaker, and strategic business advisor, will report into Marketo Chief Executive Officer Steve Lucas. "Marketo is rapidly accelerating upmarket to serve the needs of global enterprises, and this requires a fresh approach to how we connect with our prospects, customers, partners, and even our employees," said Lucas. "Jill will be an invaluable partner to our whole team in this endeavor, and I am thrilled to welcome her to the Marketing Nation." Rowley will concurrently serve as chief growth officer at Sales for Life, the largest social selling and digital sales training organization in the world. She previously founded her own consulting practice, #SocialSelling, to help sales and marketing organizations evolve their digital transformation. Rowley has a rich history of success driving excellence at enterprise SaaS companies, having spent time at Oracle building a world-class training curriculum for the company's global salesforce. She joined Oracle through its acquisition of Eloqua, where she helped companies modernize their marketing for more than 10 years. Prior to Eloqua, Rowley worked at Salesforce.com. She has also held notable advisory positions at TrackMaven, HubSpot, and Affinio, among others. "In the Engagement Economy, it's not about selling a product. It's about earning trust and delivering value by truly understanding the needs of your buyer. This leads to more revenue, greater market share, and personal growth for each individual who is part of the customer journey," saidRowley. "I predict that by 2020 we'll see a wave of chief marketing officers who lap sales in the revenue journey, and I am excited to be part of Marketo's role in accelerating this shift." Rowley will work internally with Marketo leadership to advise on alignment and best practices, helping to deliver the seamless experiences that all audiences crave. 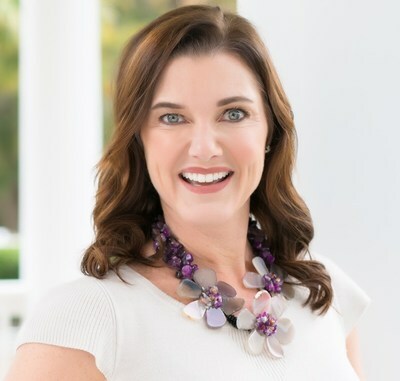 Externally, Rowley will speak at events and spend time with Marketo's customers and partners, bringing her unparalleled expertise to the entire Marketing Nation. For more information on Marketo, visit www.marketo.com.